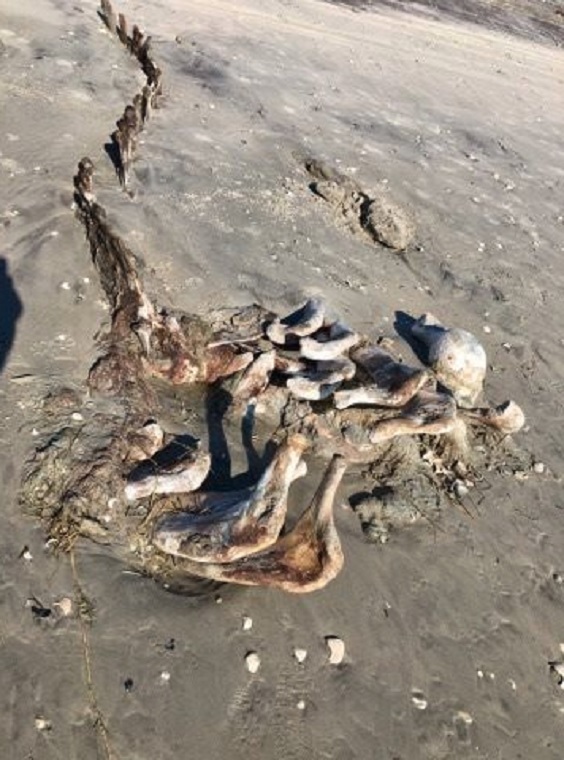 Sade Baderinwa has more on the bones that washed up on a beach in Brigantine. BRIGANTINE, New Jersey (WABC) -- A man driving along a beach in New Jersey made a spooky discovery. Eric Matuzsan says he found the massive bones Thursday in Brigantine. They belonged to a humpback whale that he estimated was about 20 feet long. Matuzsan also says he had encountered the whale when it first washed up dead a decade ago. He also adds that the whale was buried on the beach, but was probably uncovered by the recent storms.